Creamy like mashed potatoes or fluffy like rice, millet is a delicious grain that can accompany many types of food. As with most grains, millet is available in markets throughout the year. 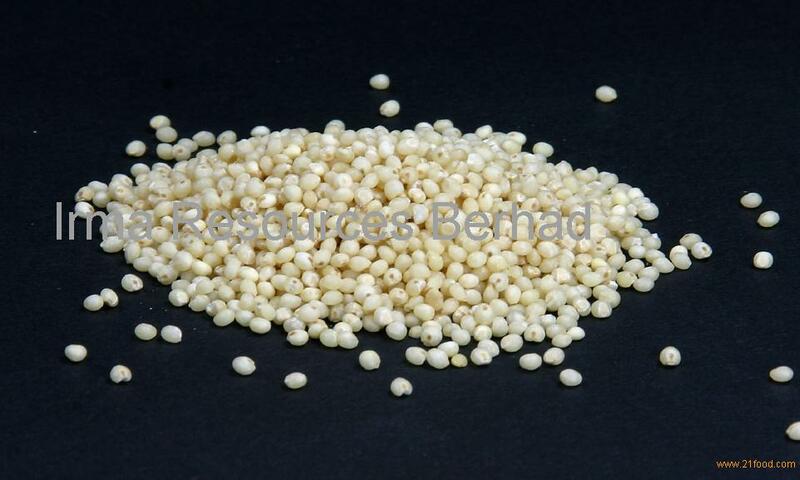 Millet is tiny in size and round in shape and can be white, gray, yellow or red. The most widely available form of millet found in stores is the hulled variety, although traditional couscous made from cracked millet can also be found. FOREIGN MATTER 1 % MAX. DAMAGED KERNEL 0.5 % MAX.